Today, the fate of Chinatown residents and small businesses will be decided by the Superior Court. 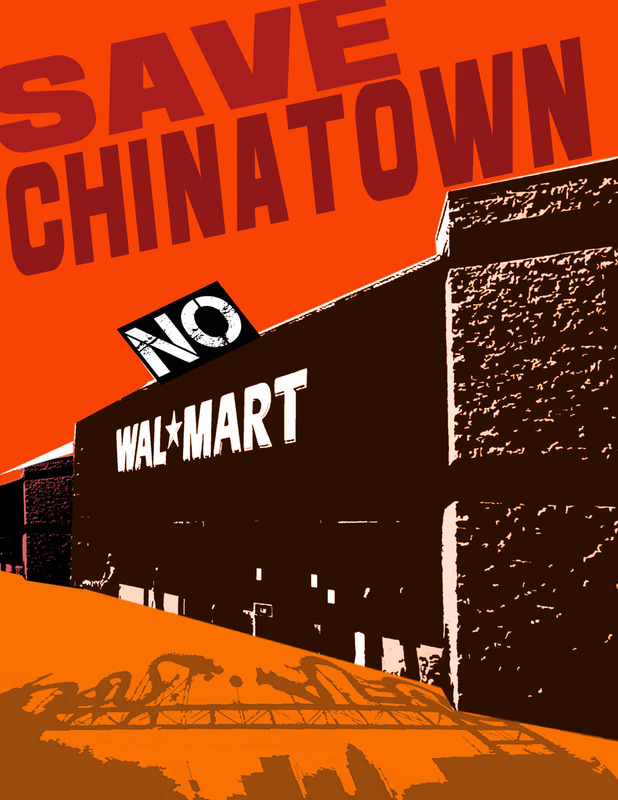 For the past 18 months, Chinatown residents and community activists across the city have been fighting Walmart’s attempt to open a grocery store in the historic downtown neighborhood. Now a judge will weigh the right of Asian-American communities to have a voice in what is built in their neighborhoods versus a multinational corporation’s ability to open just one more store. The lawsuit filed by the Asian Pacific American Labor Alliance (APALA) and its allies seeks to nullify the building permits granted to Walmart by L.A. city officials. As we at APALA prepare for the trial, I have been reflecting on our civil rights and labor struggles in the Asian-American community. It’s the same battle that Chinatown residents fought against Union Station displacement and that Japanese Americans fought to reclaim Little Tokyo in the wake of internment camps and recent gentrification. APALA was formed out of this historic saga of Asian-Americans fighting for good jobs, be they Filipino farm workers, Koreatown grocery workers or Thai sweatshop workers in El Monte. By fighting the illegal building permits in Chinatown, we are humbly trying to honor our activist elders. Over a year ago, our coalition of Asian-American and Chinatown community members sought to have a say on the impacts of Walmart’s effort to move into our neighborhood. We were concerned about cultural preservation, poverty jobs in our community and the ability of our existing businesses to compete with such a large retailer. In March 2012, former Councilmember Ed Reyes introduced an Interim Control Ordinance (ICO) before the City Council. The City Planning Department and Community Redevelopment Agency/LA staff clearly knew this ordinance was coming due to the project’s controversial nature, but they nevertheless rushed their approval of Walmart’s building permits. What was clear then was that the CRA/LA still should oversee this project’s permits. Even though Governor Brown ordered the dissolution of redevelopment agencies in January 2012, many of their community redevelopment plans like the Chinatown Redevelopment Plan were still legally active. That plan (which includes the proposed Walmart store) was and is still legally active for eight more years and had a specific public hearing requirement for new and renovated developments in the plan area. What this means for Chinatown is that a very clear violation of our rights occurred: The CRA/LA Board was supposed to be consulted before the building permits were approved. Though Walmart had the right to apply for building permits, we, the community, had the right to the legally required public hearing. It is no small feat that our coalition was able to bring together residents who are often marginalized from public processes due to their economic and language barriers. These residents are ready for their voices to be heard and to demand the ability to make decisions in our neighborhood’s developments. Our fight is not only about Walmart or any similar retailer. Our organizing harkens back to over a century of fighting for respect for Asian-Pacific Islander communities and our workers. This is about including everyone in decisions about what is built in their communities, because projects like these truly can define a neighborhood and its character for decades to come. Walmart has thousands of stores across the globe, so its assertion that it will suffer “great financial harm” if it doesn’t open its store rings false. In fact it is our small businesses that will suffer greatly if Walmart does open. We hope that Judge James Chalfant will recognize that the concerns of our residents were not heard and reverse the ill-advised Planning Department decision by requiring the hearing originally mandated under the Chinatown Redevelopment Plan.